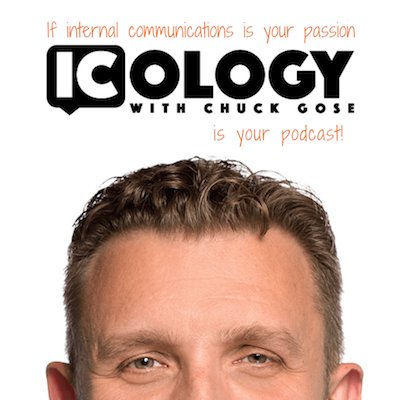 The ICology podcast is about interesting people doing interesting things in the world of internal communications. Every two weeks (and sometimes sooner) I interview leaders in the IC world, day-to-day practitioners as well as experts in the field. They share their success and failures as learning opportunities for listeners. Read what people have said. The podcast is available on iTunes, Google Play, Stitcher, Podbean, Overcast or just search for ICology on your preferred platform. I'm always looking for the next great guest of ICology. If you have ideas for future shows, please contact me. In this episode of ICology, Caroline, content manager at Alive With Ideas, shares how communicators provides both reminders and advice to communicators about how to give the written word more meaning and impact. Caroline provides seven ways to sharpen your comms copy. These tips were initially provided in an infographic but in the podcast she's able to provide some depth and counsel to each. In this episode of ICology, she shares examples of how she and her team are helping the company build a strong foundation of internal communication, including launching a new mobile-friendly intranet. Roughly, Taylor Morrison employees are split between sales and on-site construction. This creates a communication challenge that Stephanie and her team met with the new intranet. On this episode of ICology, listen to Edward Ford from Verizon about their internal video news program they produce on a daily basis. Edward is the enterprise community manager at Verizon's headquarters in Baskin Ridge, NJ. He's one of four communicators who hosts the daily program called "Up To Speed." It's a great lesson for other communicators who looking to create snackable content for employees who are on the go and desk-based. Trust is a topic that has come up on a lot of ICology episodes, but this time it's intentional. In January, Edelman released the 2017 Trust Barometer. In this episode of ICology, Tamara Snyder, Executive Vice President at Edelman, adds some flavor and context to this year's data. But while this year's report may shed a negative light on relationships with CEOs, there are silver linings for communicators to act on. This episode of ICology welcomes back past guest Simon Wright, owner of Gatehouse. For the past nine years, Gatehouse has produced the annual State of the Sector report. He shares some of the trends more than 400 communicators shared about internal communication, along with challenges, channel use and leadership/ manager communication. In this episode of ICology, hear Southwest Airlines' employee communications specialist Sydney Leonard talk about the challenges of communicating to on-the-move employees in the aviation industry, of which 83% are union. She shares the key channels Southwest Airlines uses to keep employees up to date, along with the challenges social media presents their internal communications team. Coincidence that at the same time health and wellness is at an all-time low in the US so is employee engagement? Maybe. But there's all sorts of data that point to healthier employees being more engaged and productive employees. In this episode of ICology, listen to Reebok's corporate comms manager Hilary Gabso share details on their internal culture that focuses on health and wellness. And before you think, "Oh of course Reebok can," her lessons can be adopted by any company of any size. In this episode of ICology, Institute of Internal Communication chief executive Jennifer Sproul discusses the recent professional skills framework recently created to help guide internal communicators and managers. We dig deeper into the six professional core areas.